Our MOPS group had our mother's day meeting last night and let me tell you it was AMAZING. My dear friend Rebecca was asked to speak for our meeting and it was a blessing to all the ladies that were able to attend. I wanted to write down how the evening went for those that were not able to make it. Hopefully they can be just as blessed. I am who I was created to be! #2 is I am courageous. Your daily encounters do MATTER! God is greater and will put you in situations that you don't want to be in only to grow you later. Trust Him, because He has your back! Move on from the I am ME... grow! #3 is I am a mom. NOT just or but... I AM A MOM. It is a life changing job. REAL life is NOT our social media life. Real life is waking up with NO makeup and encouraging yourself to get ready for the day. Real life is crying when you need to cry and realizing that is OKAY! In order to change the I am, start thinking positive! To change the I am's, start declaring! ENCOURAGE each other. She ended the evening with each of us grabbing a post card and writing our name on one side. On the other side we passed the card around and the ladies wrote words of affirmation about you. And then we were given a window marker and we were assigned homework. 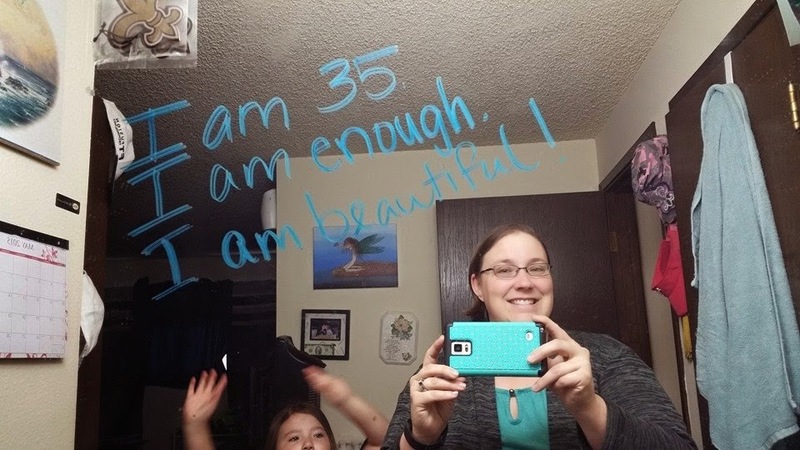 The homework was to write on your mirror at home 3 I am's each morning and then take a picture in front of it and post it on Facebook. Sue - it was very inspiring. I am the coordinator for the group... it was inspiring for me, but to see my momma's faces light up when they know they are more than just MOM and they finally see it, its priceless. Very cool post! (i have to admit i had to google mops) sounds like a great group!